International Journal of Research in Health Sciences,2013,1,3,248-250. 1-Associate Professor, Dept of Pathology, Fathima Institute of Medical Sciences, Kadapa, Andhra Pradesh, INDIA. Medical under graduates receive different methods of teaching from their faculty members. The teaching methods mainly used for lectures are blackboard/whiteboard, over head projector (OHP) or PowerPoint (PPT) presentations. Each method has its own advantages or disadvantages. Objective: To find out the students preferences regarding different teaching methods for undergraduate medical teaching in pathology. Methodology: A questionnaire based study on the comparison of different teaching methods for undergraduate medical students was conducted at the RIMS Medical college, Kadapa. Study group included 60 students attending pathology classes. The 2 groups received a series of three lectures. 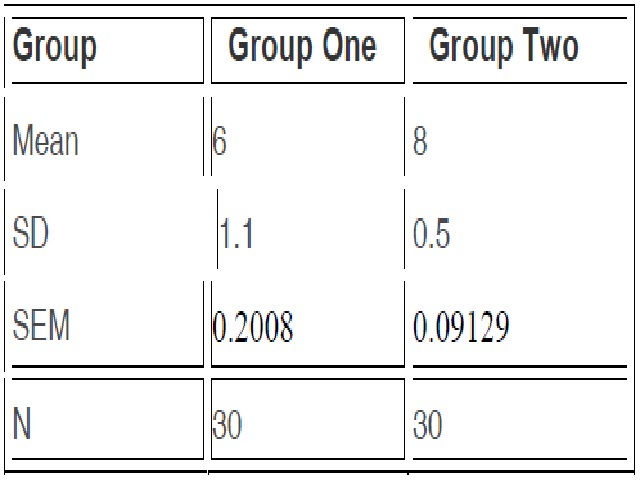 An objective test comprising of same 10 MCQs was given after each lecture to the 2 groups to assess their performance after attending the class in that particular method of teaching. Data was analysed to calculate percentages and mean. Results and Conclusions: It was observed that students preferred the use of PowerPoint presentation in lectures than blackboard teaching in both the groups for all the three topics which has been covered. The students had a more favourable response towards PowerPoint presentation than Blackboard for: better inclusion of content and understanding figures. Maximum students agreed that duration of lecture should not be more than 1 hour.